UNION, Mo. - New Haven’s Freshman Volleyball team entered Saturday’s Union 9th Grade Tournament following a thrilling three set win over Borgia (25-17, 18-25, 28-26) earlier in the week on Monday. The Shamrocks began Saturday’s tournament, winning their pool by knocking off Pacific (25-12, 25-14) and Christian Academy (25-10, 25-13), giving them the number one seed as they advanced into bracket play. New Haven turn right around in the semifinals to face Christian Academy where they cruised passed Christian 25-2, 25-6 and into the finals. 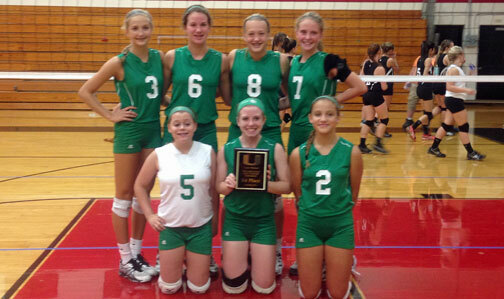 In the championship game the Shamrocks defeated Owensville in straight sets 25-19, 25-9 and a perfect 4-0 on the weekend.